Surrey Cantata - '... this closely knit group of nineteen singers ...' (Surrey Advertiser) was formed by Sebastian Forbes in May 2008, as an ad hoc vocal ensemble for singing concerts and church services. By intention, it is smaller than most chamber choirs, and its exact constitution for each event depends on what is required for the occasion, venue and programme. 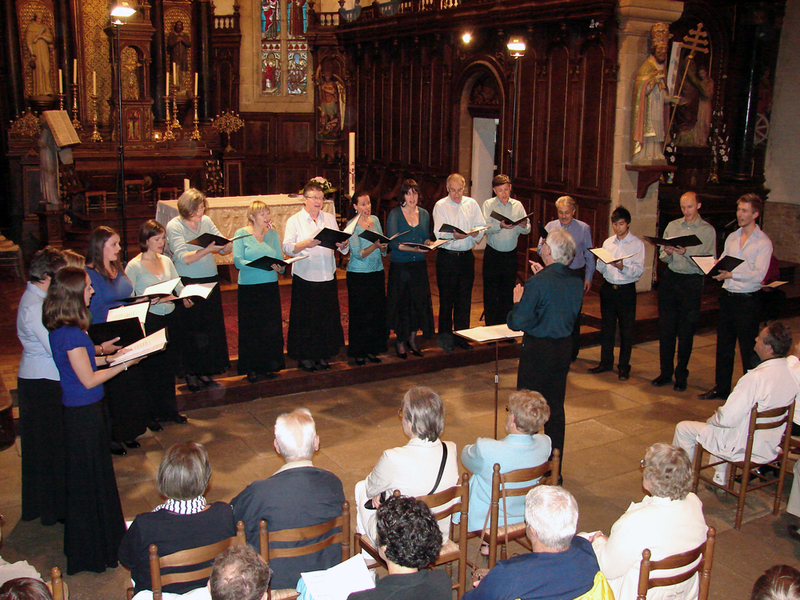 Prominent in the choir's short history are their annual tours to Brittany - three concerts each July - and local concerts, including Guildford's music festivals and at St Peter's Church, Old Woking. They also sing in church services, the full choir for larger venues such as Southwark Cathedral, or smaller forces for smaller churches. Since its inception in May 2008, a smaller section of Surrey Cantata has often sung at special services (e.g. weddings and funerals), particularly at East and West Clandon churches, but also at various other venues in the region. 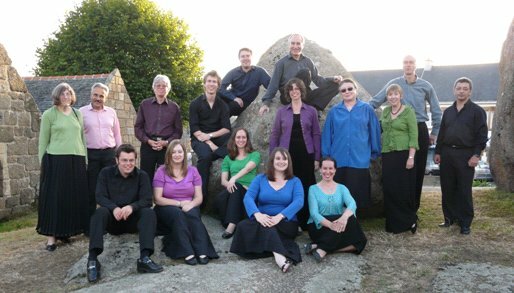 Sebastian Forbes and Surrey Cantata at Kerity, Brittany, July 2010.